Join us for our next luncheon meeting on December 13 when International Franchise Association President and CEO, Robert Cresanti, will discuss Lessons Learned in Franchising in 2016. *This will replace our regularly scheduled breakfast meeting on December 13. 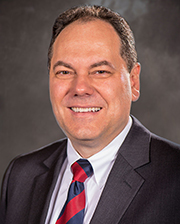 Cresanti joined the IFA in April of 2014 from SAP America, Inc., where he served as vice president of Corporate Affairs & Government Relations since 2009. In his public service, he was confirmed by the U.S. Senate in 2006 as Under Secretary for Technology for the Department of Commerce, the highest ranking U.S. official charged specifically with representing and advocating for the United States high tech industry globally. As a trade association executive, he served as vice president of Global Public Policy for the Business Software Alliance from 2001 to 2006, representing the technology industry in international negotiations and complex regulatory, legislative and commercial legal matters on a global level. He also served as senior vice president and general counsel of ITAA (now TechAmerica). Immediately prior to joining SAP, he served as the CEO of the IPXI, the Intellectual Property Exchange. Cresanti received a law degree from Baylor University School of Law, a bachelor’s degree in Political Science and International Relations from Austin College. He also received a certificate of EC Law from the University of Glasgow Law School and completed master’s courses in International Relations from Johns Hopkins SAIS.